1. When called out for bad breeding practices either in person or on an online forum, ALWAYS claim that you have been doing it for an extended period of time (generally over 5 years)/people love your horses/you breed 'quality'. 3. Claim that "snobby show breeders" are only criticizing you because they are snobs/are jealous/are just mean. No way could they actually know what they're talking about. 4. Claim that your horses go back to a famous ancestor. Never mind that the ancestor is in the 7th generation and the rest of the horses have all done nothing but reproduce like rabbits. Nevermind that they bear absolutely NO resemblance to aforementioned ancestor. Note, however, that they ARE a pretty color/foundation eligible/have flashy markings/have a surplus of hair/are shiny. 5. Claim that you are just trying to produce good 'family horses', therefore good 'family horses' are all you need for breeding. 6. When asked about HERDA, HYPP, OLWS or DSLD, enthusiastically point out that none of your horses show any outward signs of the disease and their parents/grandparents/siblings/aunts/uncles/cousins didn't either, so they don't require testing. 7. Point out that these tests cost too much and would cut into your profit margin/would make breeding impossible to afford. Be sure to champion the right of poor people to breed horses and the lack of 'registry interference'. 8. 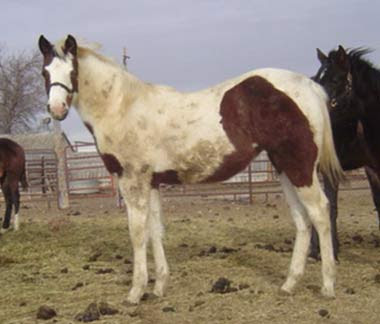 Confidently assure worried rescuers that no horse you produce, or any of their get or grand get or great-grandget will end up in rescues or on dinner plates or in dogfood bowls because you have a bunch of friends who have told you that they'd like a foal from your breeding program. 9. Point out that you don't need championships or working titles for your horses because you are breeding for temperament and your horses are really sweet. 10. Silence those annoying people who ask about your animals HERDA/HYPP/Fill-In-The-Blank health status by assuring them that buyers can return any afflicted foals and you will replace it with a breed-back for the mare/another foal of the same lineage. 11. If your breed or line is rare (or you have a "rare" color, or believe your breed or color is rare), be sure to remind everyone that you do not need to show or prove your breeding stock because you are doing the world a service by continuing this "rare" breed/color/line. 12. No matter what anyone else says, claim that you obviously know what you are doing because you've been breeding for a long time (see #1). 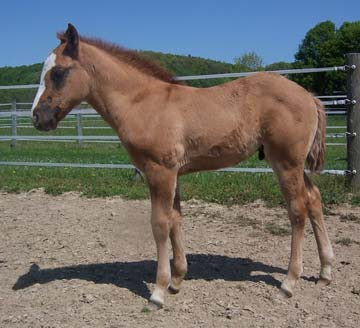 Point to the hundreds of foals you've pumped out/sold/traded/ridden over the years as proof. 13. 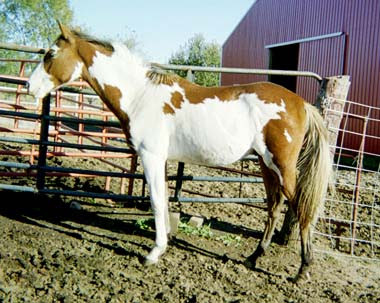 If this is your first attempt at breeding, make sure to remind everyone that you HAVE to breed your mare because how else are you going to learn how to breed/experience foaling? 14. Assure everyone that your horse does not need to be shown because you were assured by someone at the feed store/a local show/Horsetopia/the vet's office/a friend that your horse is a perfect example of the breed. 15. Always remember that "rare" colors, oversized or undersized horses, and mixes of popular breeds are great selling points. Anyone who doesn't think so is obviously not in tune with their customers' wishes. 16. Claim that your horses are better because they are not inbred and are an 'outcross' to popular lines, as inbreeding obviously produces sick/stupid/deformed horse. If breeding cross-breeds, always point to "hybrid vigor" as proof of your horse's superiority. 17. Assure everyone that your foals will not end up in rescues or slaughter houses because they are cute and well-mannered. 18. Claim that YOUR breed never ends up in rescues or slaughter houses, therefore your foals will never end up in these places. 19. If asked why you think your horses are breeding quality, point out that they have great 'confirmation' and/or a pretty color and a notable ancestor. Extra points awarded for using the term 'Foundation'. Double Extra points if they are registered with the Blue Eyed Horse Association, American Grade Horse Registry, American Trail Horse Association or any color-only association. A crap-breeding Trifecta if that is their primary registration. 20. 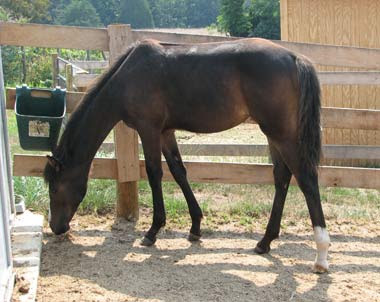 If you sell a lame or sick foal, always blame the new owners for making it lame or sick. If the owners are clearly not responsible, blame their vet. 21. If presented with irrefutable evidence proving you wrong on any excuses you have used, pretend your server did not receive the post/e-mail. Or, if you're a moderator on the forum, lock or remove the thread. Extra points if you ban the poster who proved you wrong. 22. If all else fails, tell everyone who criticizes you to "get a life." or to "stop being such a snob" or that you are successful breeders and know what you're doing.